I’m still unsure about this one. All the negativity has killed the buzz a little for me. Good review, though. Yours seems a lot more balanced of a review than many Iv’e read. 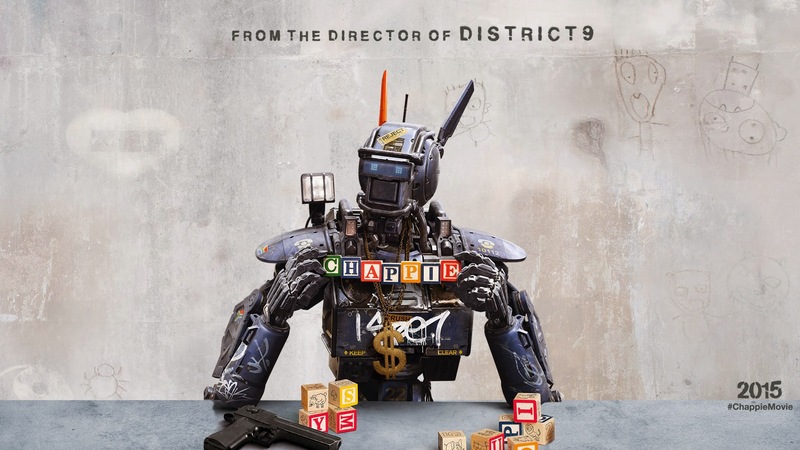 It’s not the best film but a lot more entertaining than the rest. Worth a look if the ideas interest you. I’m easily sold on science-fiction, and I’m always willing to find out for myself (despite reviews) if a film in that genre is any good or not. I like to support the genre as much as possible. Intelligent sci-fi is where I like my imagination tickling. Yeah man. I love it when my mind gets blown by great sci-fi. Have you seen Ex Machina yet? I haven’t but have been told it’s worth a punt. There is so much dreck out there, it’s a minefield. I’m all about the quality. Defo worth looking at it yourself. 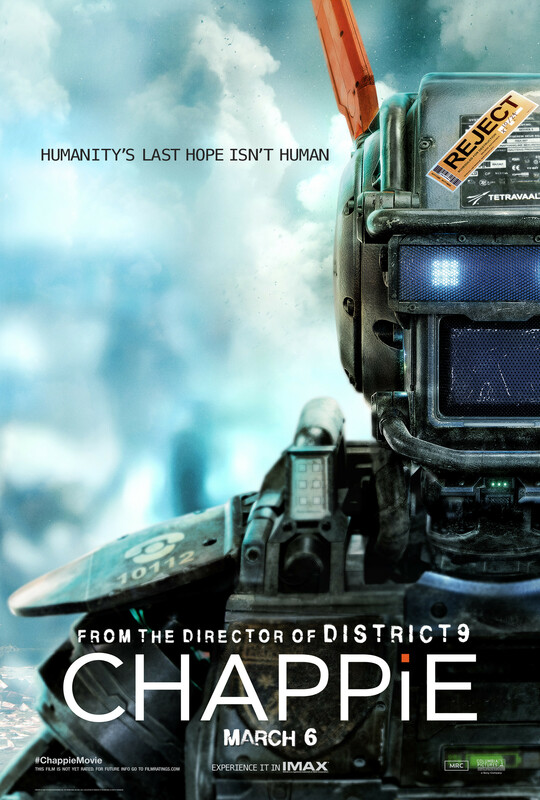 I avoided reviews of Chappie as I didn’t want to be influenced. Glad I saw it. Oh yes, I can’t wait to get Ex-Machina down my eyeholes. Looks and sounds right up my street. I’m with yu on the quality. Apparently, there’s 16,000 film released every year, roughly. Ideally, I’d be the completist and watch them all, but we have to choose wisely. Totally. Choosing wisely is the key, bro. The problem is not the really terrible films that are easy to spot, more tbe ones on the cusp. Great concepts, average delivery. It’s the average ones that can be tricksy. What are your favourites in the genre? and obviously the original Star Wars trilogy. There are more but wondered what your faves are. Back to the Future (1&2). Recently – Under the Skin. LOVED that film. Very Kubrick. If you love 2001, you should dig it. Oh dear, I realise how mainstream that list is. But hey, great cinema is great cinema. Great choices yourself, bro. Loved Moon (and all the other on your list). Still not seen Under The Skin yet but your recommendation will spur me into action. Have you seen Coherence? Less mainstream, quite recent and mind-messing. No, I have’t even heard of it. I’ll flick over to IMDb/Rotten Tomatoes to give it a scout. Thank you. Great to meet yu, by the way. I’ll be keeping a close eye on your blog from now onwards. Yeah, check it out. Maybe don’t research at all. Just find and watch. I knew nothing about it and was very pleasantly surprised. Nice to meet you too, bro.